Daily trips (2 - 3 hours) for everyone. Ask about their CapeTownMagazine.com reader specials. 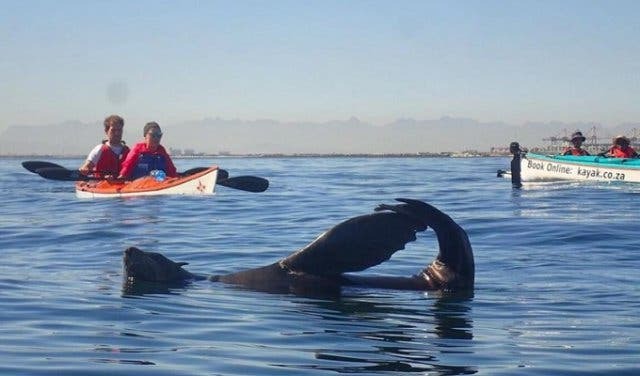 Kayaking is beautiful. It’s meditative. It’s exactly what we all need to escape the rigours of daily life, and it’s an ideal activity to do on a Wednesday to boost the rest of your week. A sunrise kayak session will leave you zen on the inside and pumped for the day. 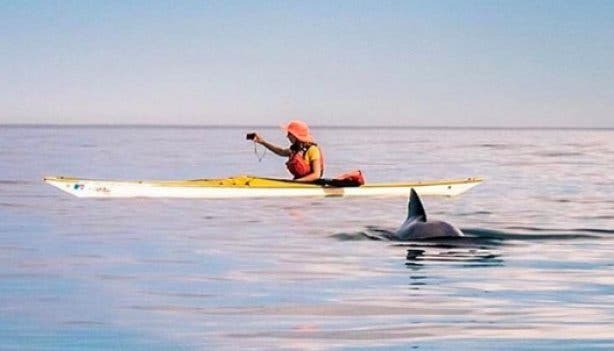 Kaskazi Kayaks & Adventures guide all levels of kayakers from sunrise to sunset, says Tracy Rauch. 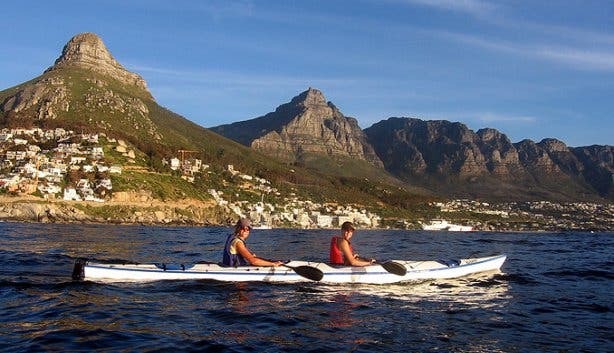 Early morning is the best time to paddle into the marine protected area of Table Bay. On most morning trips you will circumnavigate the oldest lighthouse in southern Africa, the famous Green Point Lighthouse built in 1824! Let your guides tell you more about the shipwrecks you paddle past, such as Seafarer, RMS Athens and Thermopylae. 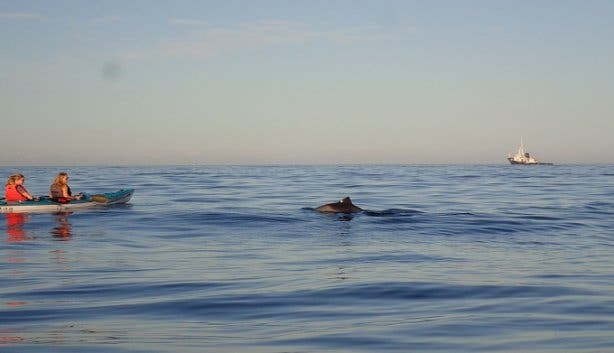 There is often more wildlife near the calm waters close to Granger Bay, and you may get a glimpse of frolicking endemic dolphins, who like to patrol the protected Granger Bay, after returning from the deep ocean in the evening for their favourite game fish. 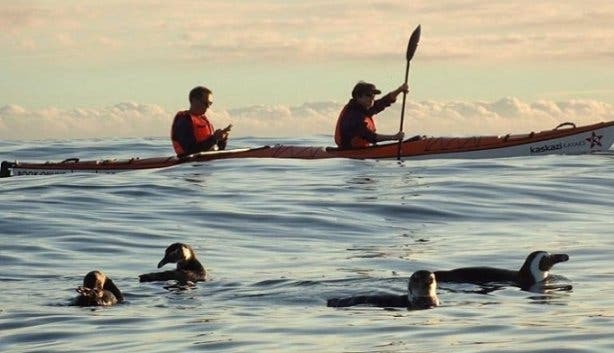 WHAT CAN YOU SEE WHEN KAYAKING AT SUNRISE? 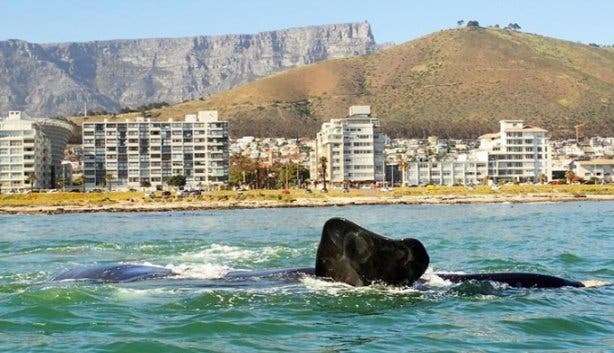 See Table Mountain, Lion’s Head and Signal Hill appear anew. 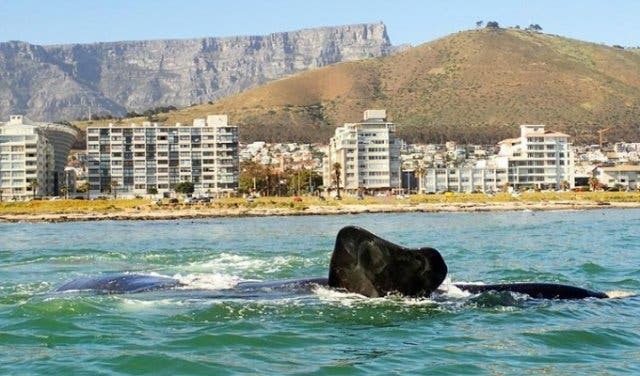 You have the chance to see the Cape Marine Big Five (endemic Heaviside dolphin, African penguin, mola mola, humpback, Southern Right, Brydes whale, killer whales, Cape fur seal and Cape clawless otter). There are also jellyfish, and ocean and pelagic birds diving into the sea. A spectacular sight is the mola mola. This peculiar-looking sunfish is the largest bony fish in the world. 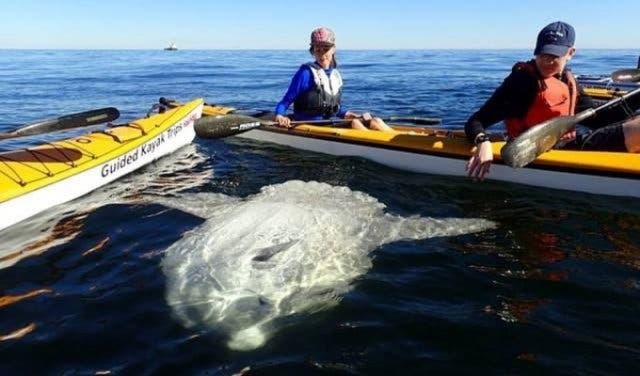 Sunfish, in general, surface for warmth from the sun and for parasites to clean them and to eat jellyfish. 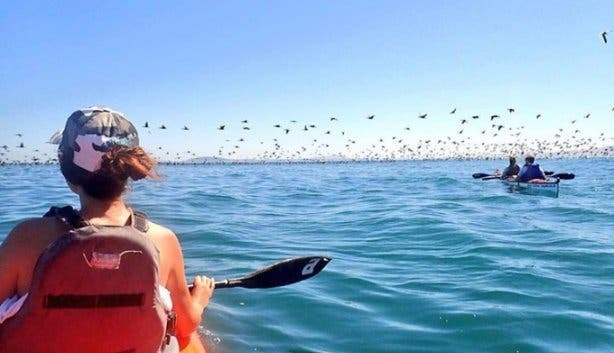 Finding yourself in the middle of hundreds of dolphins chasing fish is an unforgettable experience. Hours: Mon–Sun: Trips times change as we follow the sun! Make lifelong memories and see incredible marine life while kayaking in Cape Town, especially during the sunset kayaking. If you don't like the gym, check out our overview of fun ways to stay fit. 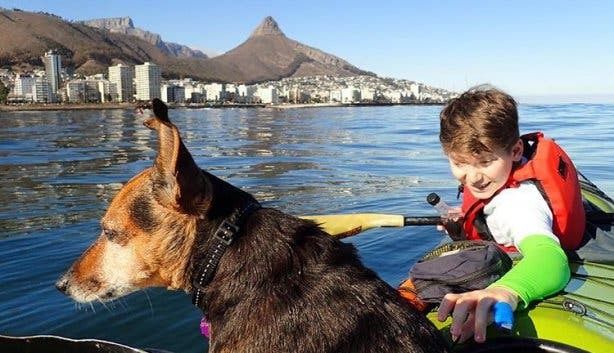 While you're in the area, go green and discover veggie delights at Mary Anns or check out these breakfast spots in Cape Town. Here's the recipe for success for your end-of-year function. 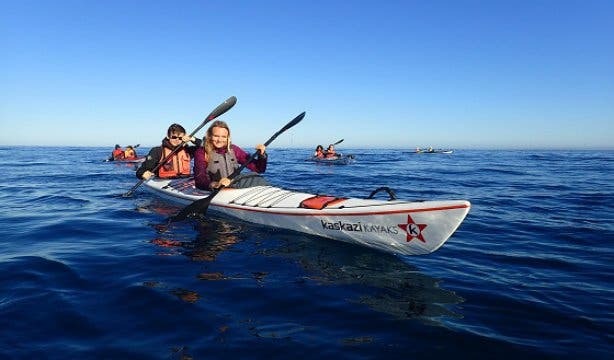 Eager to explore parts of the Western Cape in less than 24 hours? Explore these day tours. How many once-in-a-lifetime activities have you ticked off your bucket list?